Should You Chow Down Or Put That Fork Down?!?! It’s Wednesday, so it’s time for your weekly dose of the Restaurant Report Card! This week takes our eatery tour to Northville! It comes with toast, Pad Thai, corned beef, and tacos. Although, some of them were served up, with a side of priority violations. And one ended up with an eggs-cellent score! 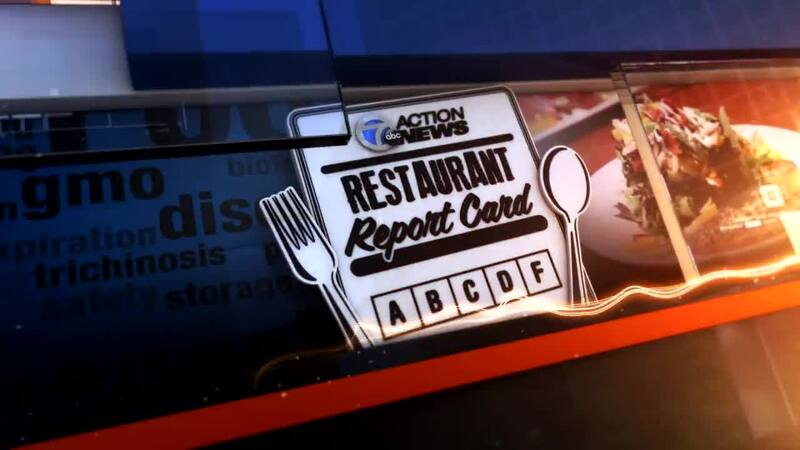 NORTHVILLE, Mich. - (WXYZ) — It’s Wednesday, so it’s time for your weekly dose of the Restaurant Report Card! This week takes our eatery tour to Northville! It comes with toast, Pad Thai, corned beef, and tacos. Although, some of them were served up, with a side of priority violations. And one ended up with an eggs-cellent score! It is a city that's cute, neat and pretty nifty. So, welcome to Northville...if you will! Known for having hosts of stuff for history buffs! And a heck of a lot of, hot spots, for the hungry! We stopped by Lucy and Wolf, an eclectic little eatery, nestled nicely near the corner of Main St. and Center St. Here the chef's aren’t cooking with gas, they are cooking with charcoal. "All the flavor, you can't beat it!" said a Lucy and Wolf employee. Lucy and Wolf assure us the corrections have been made. Next, we’re rollin, rollin, rollin... over to Wagon Wheel and sensational sliders and fries! This is a staple in Northville - your local neighborhood where everybody knows your name. Like Cheers! However, its most recent inspection was nothing to toast about! Three priority violations…one in particular was concerning: raw chicken, next to cooked fish in the cooler. "When the health department dishes out a few violations they don’t fret," according to Dave from the Wagon Wheel. "We just correct them." Another Northville restaurant that’s been around for a while is New Bangkok Cuisine. They’re serving up Thai, all the time! 19 years and counting! Fantastic news! Violations have been corrected and the health inspector approves! Welcome to Cracked, an AM addiction, where foodies come from near and far! Looks like this place is all it's cracked up to be, because it scrambled up an "A" on the Restaurant Report Card! Zero violations, on its last health inspection! Gourmet pancakes in all sorts of amazing flavors. They have lots of different flavors potato puffs. They're like crispy and delicious! And you gotta love the lattes! But the number one crowd pleaser at cracked?? The addiction french toast! So far the Northville location is the only one. But we're told, more Cracked restaurants are expected to open soon, maybe in a city near you, so stay tuned!